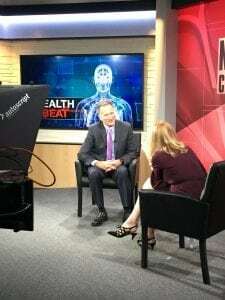 Duncan Savage, M.D., a radiation oncologist at St. Peter’s Cancer Care Center, appeared on WNYT’s Health Beat segment to discuss the latest treatment options and recommendations for breast cancer. October is Breast Cancer Awareness Month. Click HERE to watch Dr. Savage’s interview.